Spray 3 1/2-quart slow cooker with cooking spray. 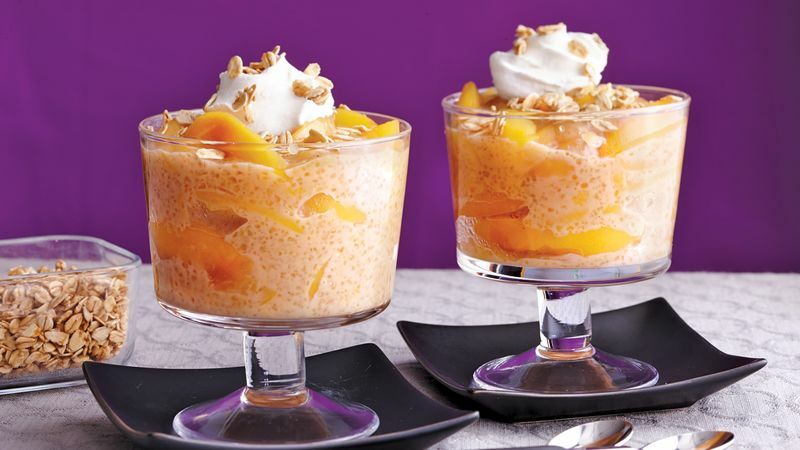 In slow cooker, stir together peaches, tapioca, brown sugar, salt, nutmeg, whipping cream and peach nectar. Cover; cook on Low heat setting 4 hours. Stir well; spoon into dessert dishes. Top each serving with whipped topping and 1/4 cup granola.